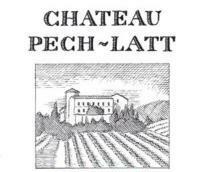 Certified Organic in 1996, but practicing organic since 1984, Château Pech Latt is one of the early Corbières vineyards to capitalize on their terroir. Situated near the idyllic town of Lagrasse, the vineyard is 130 hectares (320 acres) of beautiful land, bounded by hills on 3 sides, and divided into parcels, each planted with a specific grape. With its natural spring, Pech Latt's grape-growing pedigree can be traced back almost 2,000 years. The estate also preserved the old vines of Carignan, which have been systematically removed by other estates, so the character of the wine is greatly influenced by up to 40% of these 60+ year old vines depending on the vintage.